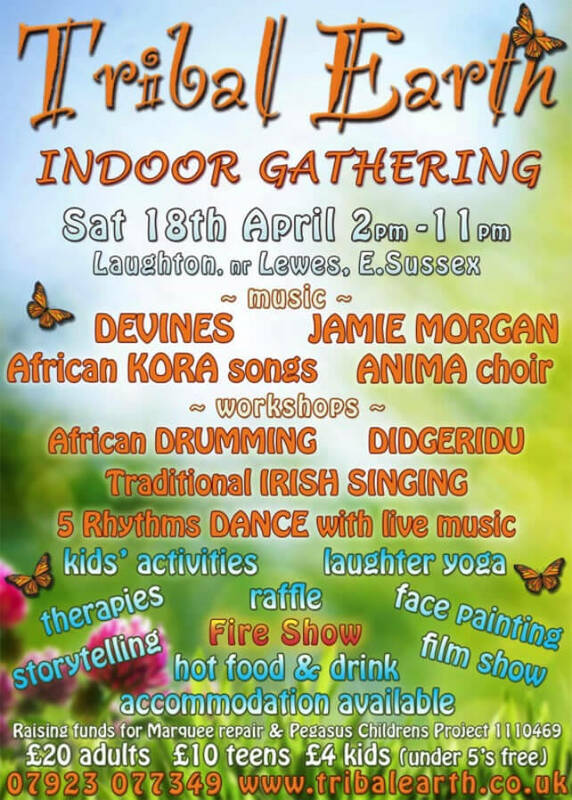 I will be hosting a didjeridu performance/workshop at the Tribal Earth indoor gethering which is a one day fundraising event at Laughton Lodge near Lewes on Saturday 18th April 2015. All ages and abilities are welcome. 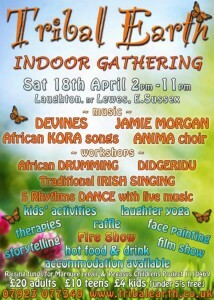 Please see the Tribal Earth website for more information and to buy tickets.